Thinking about that kitchen remodeling project? While the renovation process is exciting, there are plenty of things to consider. When it comes to cabinets specifically, the choices can be daunting if you don’t know where to start! In the past, we’ve written about stylish overhead cabinets like butler’s pantries, as well as the benefits of custom cabinetry versus prefabs. If you’ve already assessed your space and are ready for style options, you’ll want to take a look at these blogs! If you haven’t, you’re right where you need to be. Let’s talk about plain and simple affordability. Not every homeowner wants the cheap option. After all, you’re redesigning your kitchen for a reason! You want something new that will both look great and last. At the same time, not everyone needs a large and luxurious kitchen cabinet set. Is there some middle ground for the budget-conscious homeowner? Absolutely! What are Your Cabinet Needs? Base cabinets are roughly waist-high and mount against the kitchen walls. They come in a range of styles and are directly related to the counter space you need. Wall cabinets mount overhead, and offer convenient storage above your stove, sink area, and kitchen corners. Pantry cabinets can run floor-to-ceiling, and are usually equipped with a combination of drawers and doors. This article from HGTV has some great examples of the sort of cabinets homeowners are installing these days. They range from bare-bones and traditional to high-end, entertainment sets. Remember, when it comes to cabinets, bigger is not always better. With the increasing trends of minimalist design, you can have a sleek and stylish kitchen design without breaking the bank! 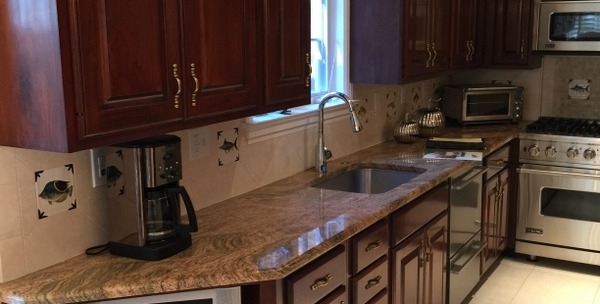 Need New Cabinets for Your Maryland Kitchen? Our team of professional cabinet makers and kitchen remodeling experts is standing by to help you with your renovation project! Reach out to Stohlman & Kilner to request a consultation, and let’s get your new cabinets installed.